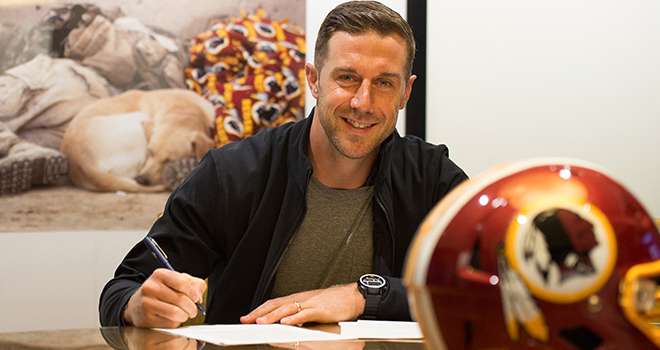 The Washington Redskins are optimistic that Alex Smith will be leading the team next year, according to this article. Considering Smith’s massive contract which includes $71 million if he’s injured, the Skins no doubt hope he’ll be back next year! Smith suffered from a spiral fracture of the tibia and fibula in his right leg in the game against the Houston Texans. He had no ligament damage. Coach Jay Gruden expects his recovery to last “6 to 8” months. In the meantime Quarterback Colt McCoy will lead the team.